The family has come together, the sun is shining, the tucker has been served, and in the post-BBQ sluggishness, the kids are crying for entertainment. It’s time to get out the bat, ball, and wickets! 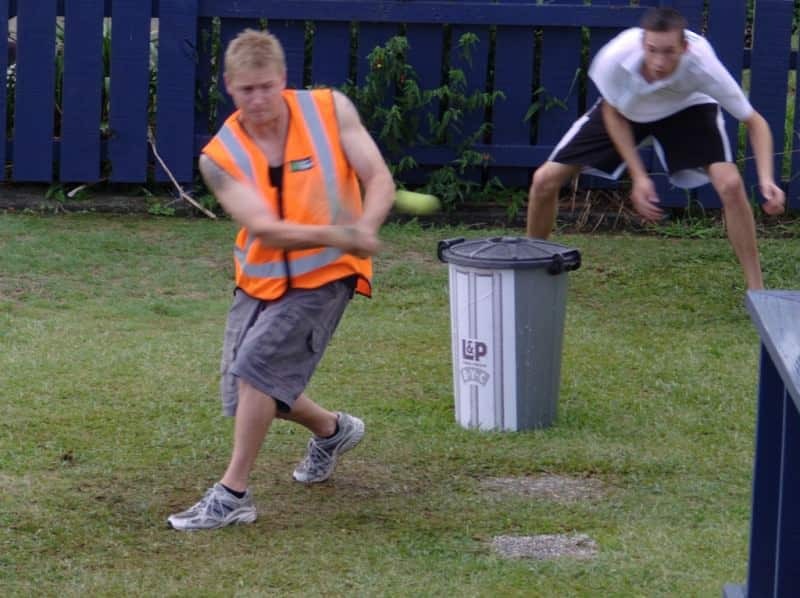 Backyard cricket is one of the great Aussie sports. We love it for several reasons. For a start, it brings the family together by having flexible rules to suit all skill levels. And that means anyone can join in, from the elderly grandparents to the youngest toddlers – different rules can even apply to the varying skill levels so nobody will feel intimated. Since scoring takes a backseat in this informal cricket game, backyard cricket eliminates competition among the more obvious sibling rivalries, helping to keep the peace. And that also means everyone is encouraged to ‘give it a fair go’, without having to worry about looking silly or losing. Backyard cricket can be played just about anywhere, which is why it’s one of the most popular family games over the summer holidays. It doesn’t matter whether you’re picnicking in the park, soaking up the sun on the beach, or hosting your own backyard BBQ. Backyard cricket (or street cricket, beach cricket, garden cricket, or whatever your family likes to call it!) will suit any location – as long as you’ve got the right gear. Photo credit: Dennis Kuhn via Flickr. It’s obvious you can’t play cricket without a bat and a ball, even if you don’t have a traditional pitch. Thankfully, backyard cricket allows for all manner of instruments to take the place of the hallowed wooden bat and leather ball. In fact, as long as you’ve got something to whack the ball with (a piece of wood, a tennis racquet: anything will do) and a ball (a tennis ball is softer on the little ones’ hands and bounces better over grass), you’re pretty much set. But don’t forget the wickets! This is where you can get creative. A wicket can really be anything at hand, from a chair from your verandah furniture set to a tree in the park. Rubbish bins are a popular choice, but we like the idea of chalking lines on a fence (so you don’t need a wicket keeper). 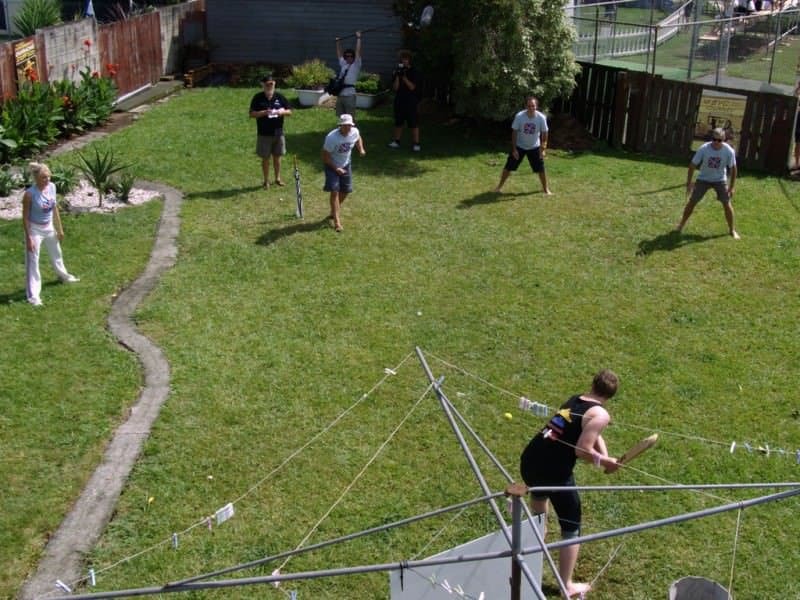 The best thing about backyard cricket is you can tailor it to suit your player’s needs. Depending on the number of people involved, the age, and the skill level, you can make this garden game as easy-going or as competitive as you like. There are rarely teams, with players taking turns batting. But there are some general rules from which you can pick and choose your own backyard cricket rulebook. 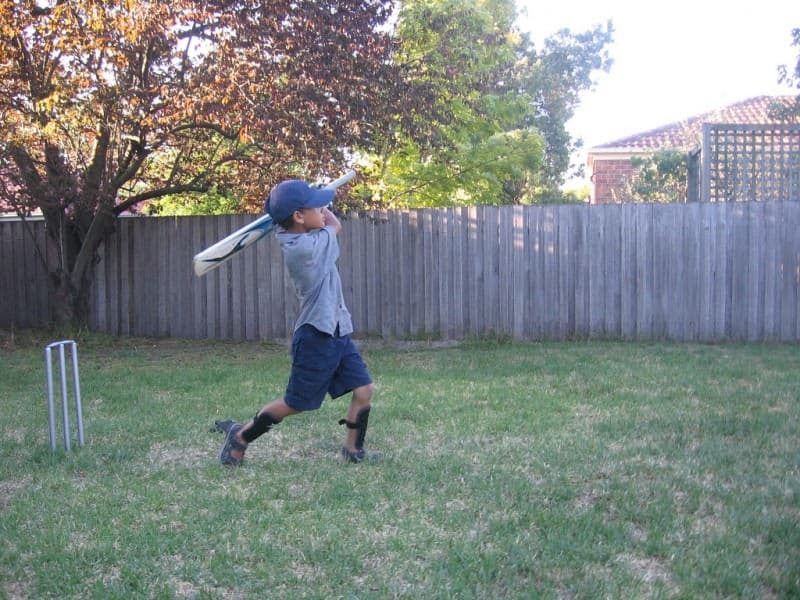 Second chances are perhaps the best thing about backyard cricket, allowing those (especially the younger tykes) who may not match up to Australian Cricket standards to be given another go. Second chances mean batters can’t be made out on their first ball, or before they’ve committed one run to their name (if you’re scoring runs). This rule is great for those with questionable cricketing talents or simply low confidence. Unless you’re one of those lucky ones with the great Aussie home dream of a tremendous backyard, you’re going to be limited in space when playing garden cricket. To discourage people from making a mighty hit, it’s worth applying the six and out rule. This rule means that any hit which sends the ball soaring over the fence, into the water, into the roof gutters, or anywhere it’ll be hard to retrieve counts as six runs, but you’re out! Tippy-go, also known as French cricket or Hit and Run, is a great rule to keep the game fun and lively. It enforces the rule that when a batsman hits the ball, they must run whether there’s enough time for them to make it to the other wicket or not. It’s great for those with a bit more skill who are generally harder to get out. Tree fielders are a great ploy when there aren’t enough players to build out a solid fielding team. The bowler gets to choose a certain number of trees or shrubs to act as fielders: if the ball hits these markers on the full, the batsman is out. If you’re rotating batsmen rather than playing teams, you can choose to employ the “catcher’s in” rule. This means the person who gets the batsman out can be the next to bat – a great reward for getting those lazier fielders to step up their game! If you are counting runs, you’ll want to have a wicket point to run to. This can usually be marked with a shoe or sweater. If you’re playing with just one batsman, they can shout out “Safe!” if they choose to make only one run before returning to their home wicket without being hit out. Photo credit: Mark Lawrence via Flickr. Since your garden is bound to have plenty of items the ball can rebound off, the “one hand, one bounce” rule makes it easier for people to catch the ball out without worrying about obstacles. They can get the batsman out by catching the ball with one hand after it’s bounced once, whether it’s off the ground, a wall, a car, or any other obstacle. We think this rule was invented so more Aussie can get out on the field without having to neglect their beer bottles – and we think there must be skill involved in catching a cricket ball in one hand while the other cups a bottle of booze! Professional cricketers have the benefit of slow motion, an umpire, and, nowadays, Hawk-Eye to get a precise decision on whether a batsman is hit out, but in backyard cricket we like to keep it simple. Since this isn’t a competition for the Ashes (although it’ll likely feel like it in some families), a toss of the bat can be used to determine whether the cricketer is out. Like tossing a coin, the batsman calls which side of the bat will land up and if they’re successful, they get to remain in. You can otherwise compromise by docking five runs off the batsman’s score but allowing them to keep playing. In some families, a Majority Rules opinion may be the universally accepted third umpire. Just thinking about these rules makes us keen to pull the family together for some friendly competition. Every family has its own personalised rules and we’d love to hear some of yours! Tell us about your very own backyard cricket rules or other things you like to do when the clan gets together in our Comments section below. Are you looking for more fab ideas to keep the whole family entertained at your next gathering? Check out some of our other posts below and you’ll be itching to get the crew together. Ready to buy? Contact us for a FREE measure and quote.